I recently conducted a quick survey among some of my friends and family members. It’s not that I really needed to though, as I already surmised what the results would be. And I was 100 per cent accurate with my prediction. I asked for opinions on wrinkles. Are they good or bad? And why? As you may have guessed, they received negative reviews all across the board. Ideas of looking old, haggard, tired and droopy came up as reasons why the dreaded facial lines are so despised. Of course, no one actually despises those who do have wrinkles. But, at the same time, no one actually wants to get wrinkles either. So what to do we do about them? Do anti-wrinkle products actually work? According to SodaHead.com, they don’t. Not only that, but the site reaffirms that nobody seems to like wrinkles. As well, their attachment to the concept of being wise and worldly has seemingly gone out the window. Media influence is cited as a major cause for the bad rap that wrinkles seem to get. But back to those anti-wrinkle products. What’s wrong with them? The site notes that a study, conducted by Consumer Reports on nine different face serums, found that even the most expensive brand had next to no ability to effectively smoothen out wrinkles. The study put the products through six week trials and found that wrinkle reductions were slight, at best. Obviously, the products fell short of their claims to provide the miraculous results they promised. Sadly, most people (notably women, says the site) are still willing to throw hundreds of dollars on creams, serums and masks that are nothing more than high end moisturizers – not wrinkle removers. But here’s where I really take issue. Consumer Reports points out that the celebrity endorsements for many of these products make claims that they actually work better than surgery. Meanwhile, we all know that most celebrities would opt for surgery over store-bought creams anyway, don’t we? SodaHead.com also writes that The Food and Drug Administration apparently doesn’t even require manufacturers to test the products for efficacy or even if they meet their claims of being able to ward off wrinkles. Juvederm injections, on the other hand, can confidently make the claim that they are wrinkle removers. 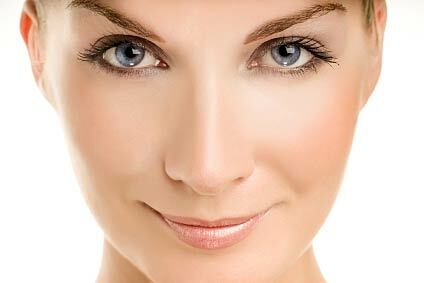 Be sure to check back for my next blog for more information about Juvederm Dermal Fillers. A safe and effective way to noticeably remove wrinkles quickly, these injections truly do provide the miraculous results that wrinkle creams claim to. As always, consult a skin care specialist or licensed physician to learn more and to find out if Juvederm is right for you.